Things they don’t tell you about Kindergarten: The teacher will host Pinterest-worthy parties, so you don’t have to. 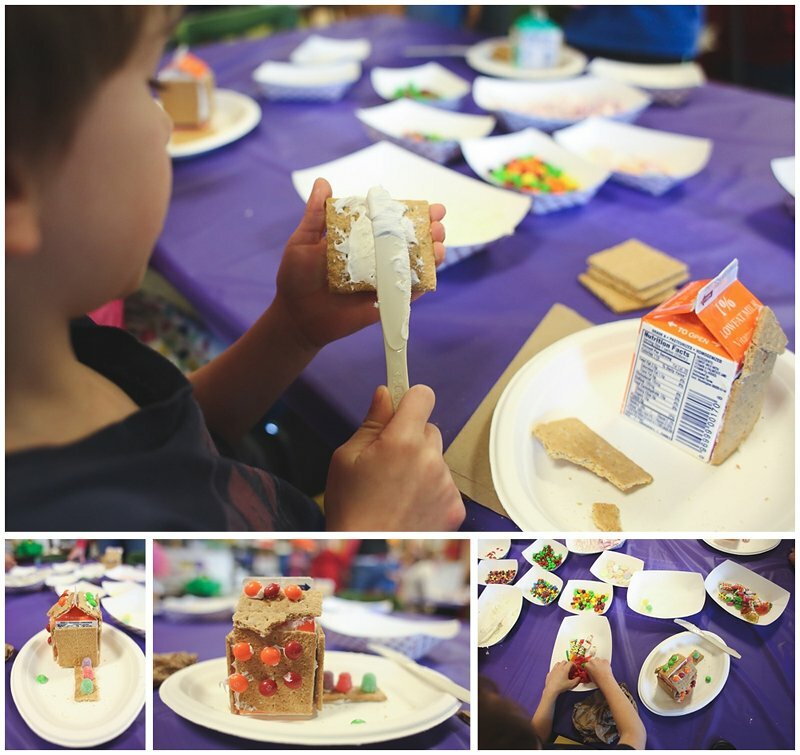 Graham cracker gingerbread houses? Nothing new about that. Just being able to show up and spend time with Apollo while he builds his graham cracker gingerbread house? Priceless. All the fun and none of the work. It’s hard to beat that! When we enrolled Apollo in Kindergarten, our goal was to normalize life for him and work on separation. We wanted him to be “just another kid” not a “sick” kid. And we knew he desperately needed practice in separating. The psychiatrist in the child development department down at Seattle Children’s told us not to expect him to separate from us all night long (i.e. : sleep through the night) if he couldn’t yet separate from us during the day. He has been sleeping better since starting school. I have no idea if it is the practice in separating, or if it is just exhaustion. Either way, I’ll take it! He has been doing great in school. He has a 504 and an IEP (providing him with speech therapy). He has made it to school for only one full week so far this year. Every other week he’s either and doctor’s appointments, been sick, or too physically exhausted to go. He has come home early many days. I’m okay with that. If I had my preference, kindergarten would still be half day. He is also younger than a lot of the other kids. Having a late summer birthday (June 26th) many parents would have held him back a year. But I knew he needed this now. 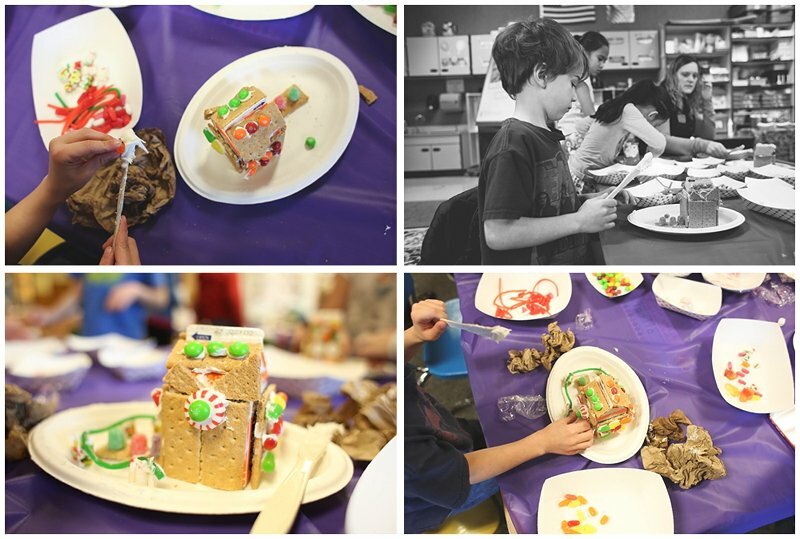 Yesterday was a big day in his class…It was the day the kids got to make graham cracker gingerbread houses. It was also the day Apollo had an appointment scheduled for the Feeding Clinic. After very little thought I rescheduled his appointment so he could be at school yesterday. His feeding visits and official weigh-ins are important. 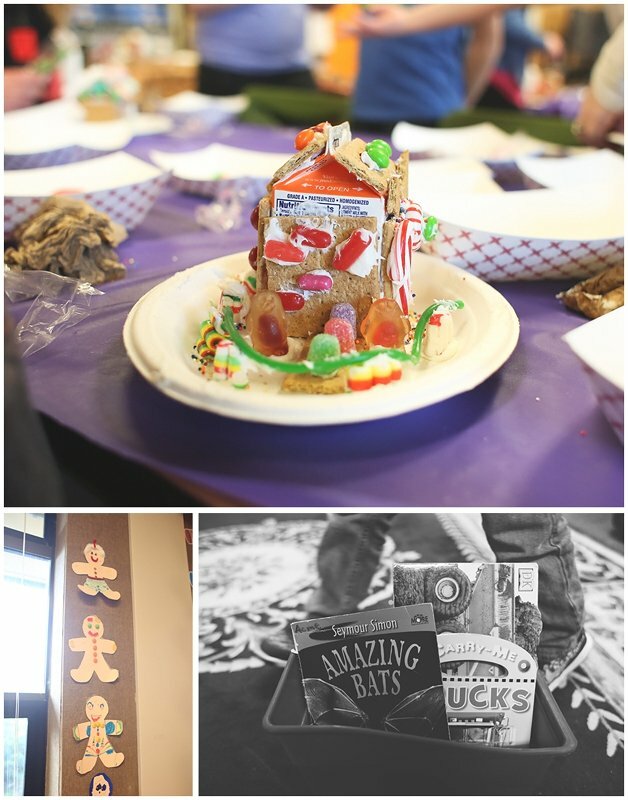 But when you are five, building a gingerbread house in kindergarten is really important. I feel like I am constantly balancing his health needs with his need to be a kid. To miss out on gingerbread house making day to visit a hospital? If it were vitally important, yes. If the appointment can be rescheduled? No. We have no idea what is causing the persistent pain. Reflux? Scar tissue? Compression? The doctor said he can’t think of any test to run that hasn’t already been run. I am not sure what to do now. Right now we are taking things one day at a time. His 504 allows him to sit out of PE if he is tired. I am keeping up with the reflux medicine because, quite frankly, it feels better to do something than nothing. You probably already have, but have you checked his heart rate when he complains it bearing to fast or to slow? You can but a pulse ox in the pharmacy area at Walmart. Ugh, the joys of a heartkid! It adds suspense to your life that’s for sure. I cancel all our non-urgent therapies and appointments for December (our summer and Christmas) so Kaylee can just be a kid, we can just be a family and I can rest. It’s not easy, the list of things I’d like her to be doing is huge (hydrotherapy, an appointment to overhaul her communication system wit the SLT, re-evaluate her AFOs with the physio, reset her hearing aides with the audiologist, design activity bags with her OT….just off the top of my head) But instead we are sleeping later, staying home and going to Christmas BBQs and Carols by Candlelight. And lo and behold, the other day Kaylee PULLED UP TO STAND! After 4 years of therapy she picks our break time to do that. Therapy and appointments are so important, but downtime, childhood and memories are too so I totally get the gingerbread houses. Is it possible that what he’s feeling are heart palpitations? Has he ever had a 24 or 48 hour holter or event monitor? Yeah, I agree that a Holter for a few days (maybe even a couple times over a few months even) would give a good picture. Our sick-kid had one done around 1 year old. He had an ECG after his first seizure, and they were able to compare it to his 1 year Holter test. It was abnormal in regular terms, but normal for him.